The Australasian Road Safety Barrier Accreditation Scheme Steering Committee has released an update on their work to establish a national scheme to ensure the people who design, install, and maintain road safety barriers on Australia and New Zealand’s road network are appropriately trained. Austroads has partnered with Lantra (UK) to develop a national accreditation scheme that will require the certification of all people engaged in the design, installation, and maintenance of any road safety barrier system used in New Zealand or Australia. Operative course: This entry-level course is for labourers, who can later enrol to become an installer. The aim of this course is to ensure the individual comprehends the fundamentals of road safety hardware installation, to aid their safety on site and their value to industry. Installer course: The next stage of training accredits operatives to install road safety hardware products under the guidance of a ‘lead installer’. The course covers the generic elements of systems and the practice of system installation. Lead Installer course: For individuals seeking qualifications to oversee installation and sign-off of the road safety hardware including the correct installation of proprietary systems. Inspector course: For experienced individuals with a broad knowledge wishing to move into an independent audit or quality assurance role. Designer course: A separate training program tailored for installation designers and other industry practitioners. This course will cover the theory of good road safety hardware design practices and installation fundamentals. Before applying for these courses applicants must hold construction safety induction accreditation by a nationally recognised registered training organisation. Lantra is finalising the training modules for the Operative and Installer courses which are planned to be introduced in the second quarter of 2019. The Operative module will be delivered via E-Learning by Lantra endorsed Register Training Organisations (RTO). The delivery model for the Installer’s module is currently being developed. Lantra is overseeing further development of the training modules for proprietary systems (relevant to Lead Installer). Implementation dates will be confirmed after the Operative and Installer courses are finalised. Pre-development works for the Designer course will be the focus of the Committee for the first half of 2019. The Committee and Lantra will review the Inspector course module in the latter half of 2019.
e-learning training modules will undergo periodic review and be updated for the benefit of participants. 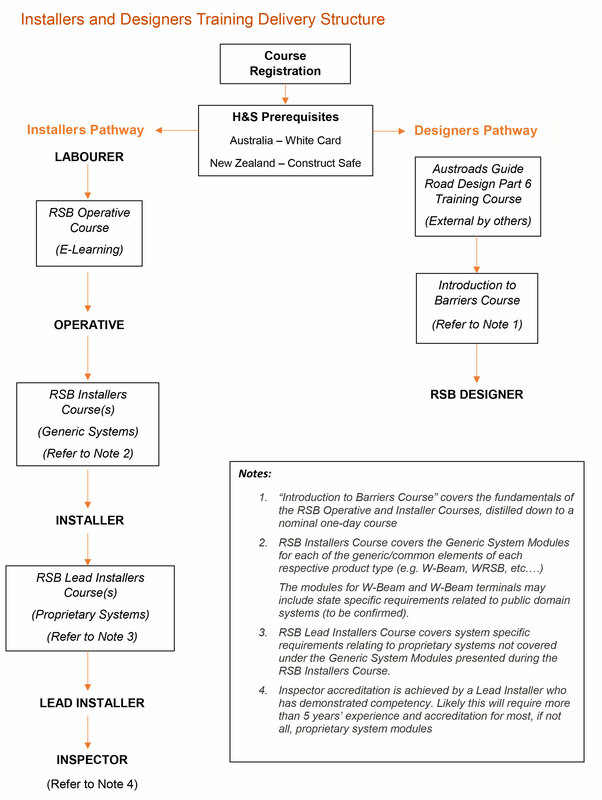 The training pathways proposed for this scheme is detailed in the flowchart. undertaking a stakeholder and critical information analysis to inform website development.